Campaign Launches to Boost Enrollment in ABLE Accounts – Hall Law Firm, P.C. New savings accounts for families of people with disabilities, known as ABLE accounts, are rapidly becoming available nationwide as programs continue to roll out on a state-by-state basis. But this new savings option, as potentially revolutionary as it is, contains many nuances and caveats, and is not available to everyone. To help consumers navigate the ABLE process and accelerate the opening of accounts by eligible individuals, the ABLE National Resource Center has launched an education and information campaign called #ABLEtoSave. Congress passed the Achieving a Better Life Experience (ABLE) Act in 2014, amending the Internal Revenue Code to allow families to create new tax savings plans, modeled after the popular 529 savings plans for higher education, for paying for disability related expenses. Families enrolled in ABLE plans can contribute up to $14,000 annually to these accounts, and up to $100,000 in total, without jeopardizing the account beneficiary’s eligibility for Supplemental Security Income (SSI), Medicaid and other crucial government benefit programs. 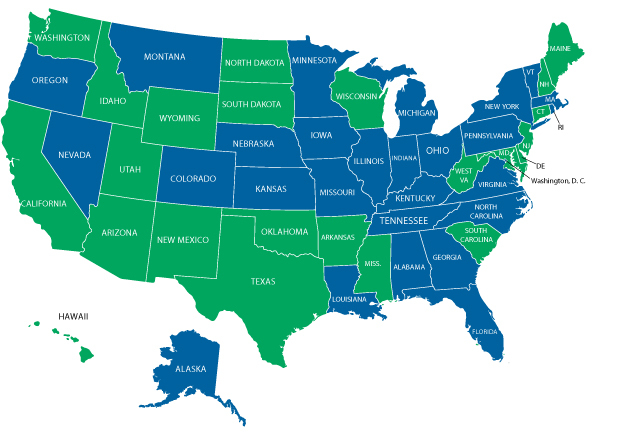 Forty-nine states have passed legislation creating their own ABLE programs. Twenty-seven of these programs are up and running, with New York State launching its program most recently, on August 10. As part of its #ABLEtoSave program, throughout the month of August the Center rolled out videos and fact sheets focused on five main topics: 1) What Is ABLE? ; 2) Who Is Eligible? ; 3) What Can Funds Be Used For? ; 4) How Do I Manage My Account? ; and 5) How Do I Enroll? The Center has also released an #ABLEtoSave toolkit for those who want to get the message out about the benefits of ABLE accounts for people with disabilities and their families. “The goal of the #ABLEtoSave campaign is to significantly boost public knowledge about ABLE accounts and ultimately increase the amount of ABLE accounts opened across all ABLE programs,” Rodriguez said in the news release. Click here for more information on the #ABLEtoSave campaign. Read more articles about the pros and cons of ABLE accounts, how three state programs differ, and practical uses for an ABLE account.